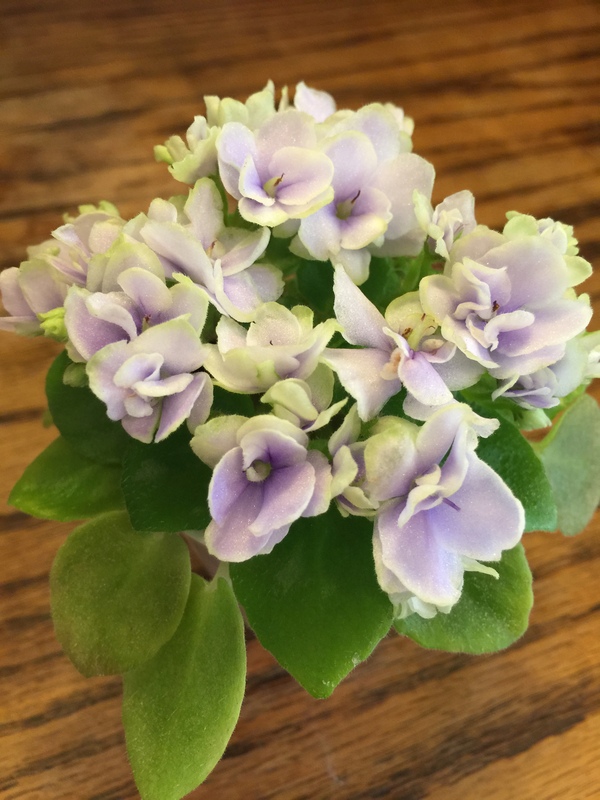 Who doesn’t love a plant sale? Be sure to double check the “Educational and Sales Opportunities” tab for additional sales events. 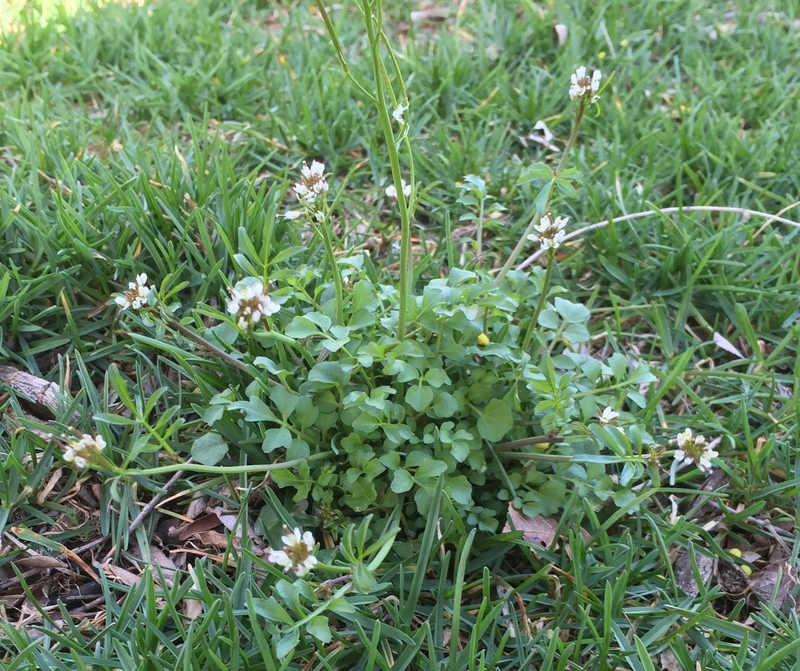 There is a new weed in my yard. Actually, I noticed it the year before last, but it is really getting under my skin this year. And I do not like it. Do not like it one bit. 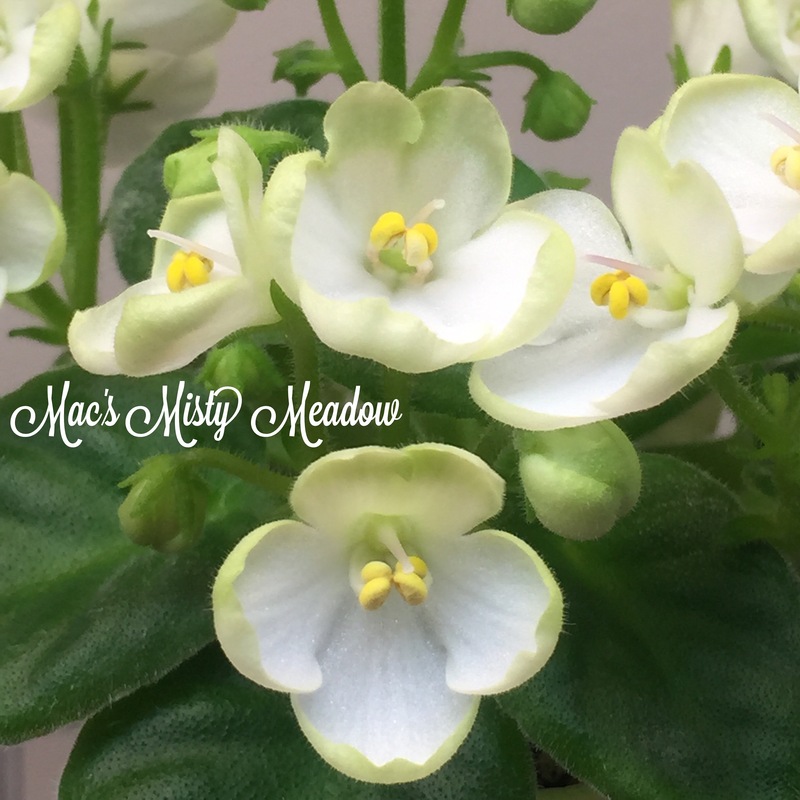 I’m talking about Hairy Bittercress. Where in the world did this come from? It wasn’t here 4 years ago and now, thanks to its extensive seed explosion propagating behavior – it is really on the move. Hairy Bittercress (Cardamine hirsuta) is in the Brassicaceae family and related to the mustards/cabbages. 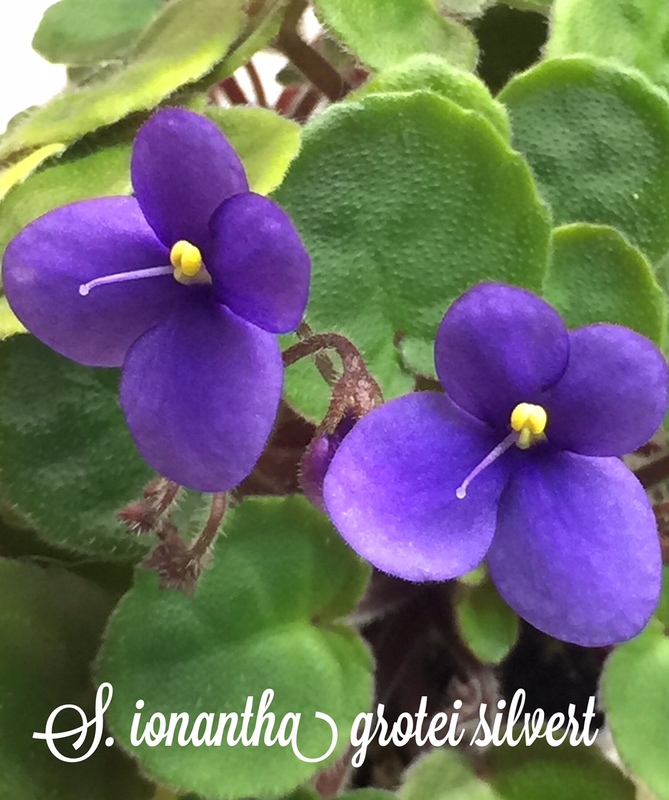 Actually, if it wasn’t such a pest, this diminutive plant might look pretty cute in a spring fairy garden. The seeds germinate in the fall and are winter annuals (green during winter). That growth habit gives them a jump start on growing in the spring and blasting out their tiny seeds before you can get a grip on the situation. If I were a betting woman, I would guess that the seeds originally made their way into my yard via nursery/garden center potting mix debris. The first plants populated a path that leads to my compost bin. I’ve read that they are edible but I’m not going to give them the pleasure of gracing my table. I’m more than happy to spend a few minutes pulling those little rosettes out before they get a chance to bloom. As with the noxious garlic mustard, a cousin to the bittercress, do not dispose of any plants you pull in your compost bin. The temps will not be hot enough to kill the seeds. And mowing them down won’t help. They are quite short and you will only be mowing the bloom stalks which will spite you and allow the seeds to mature and spread the love. 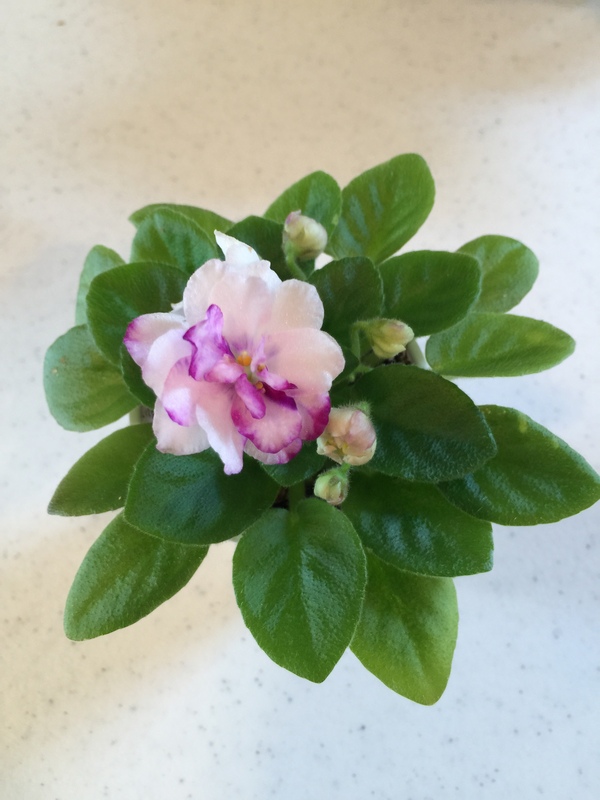 Garden clubs know the good stuff when they see it and are adept at sharing the news of such things. Two examples are the spring club fundraisers for the Here and There Garden Club and the New Neighbors Garden Club. 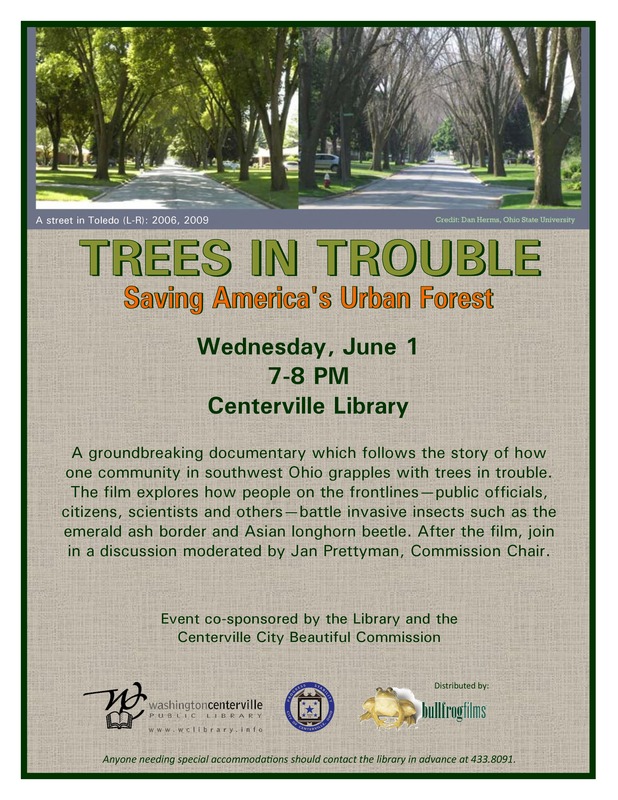 Both are clubs with members from the South Dayton area. Either club would be more than happy to help you get your green thumb on. 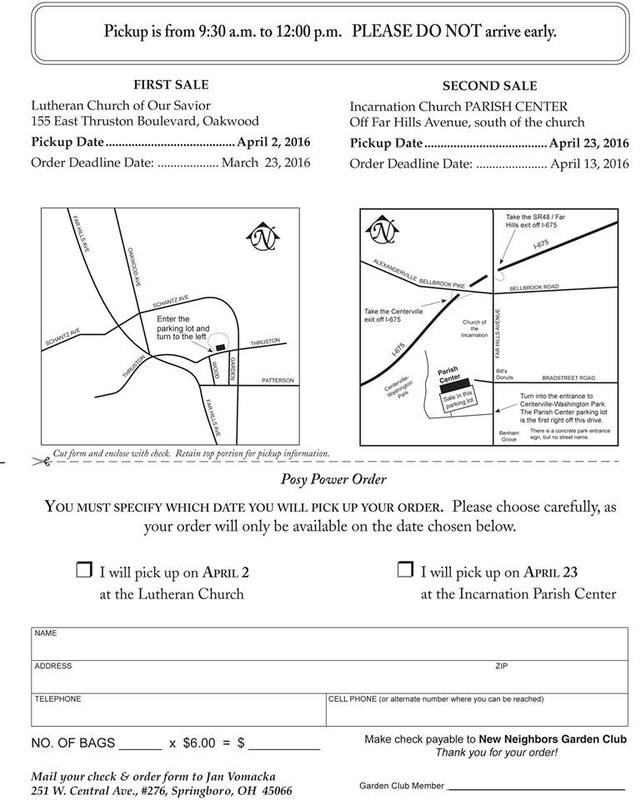 Sale information is found below. 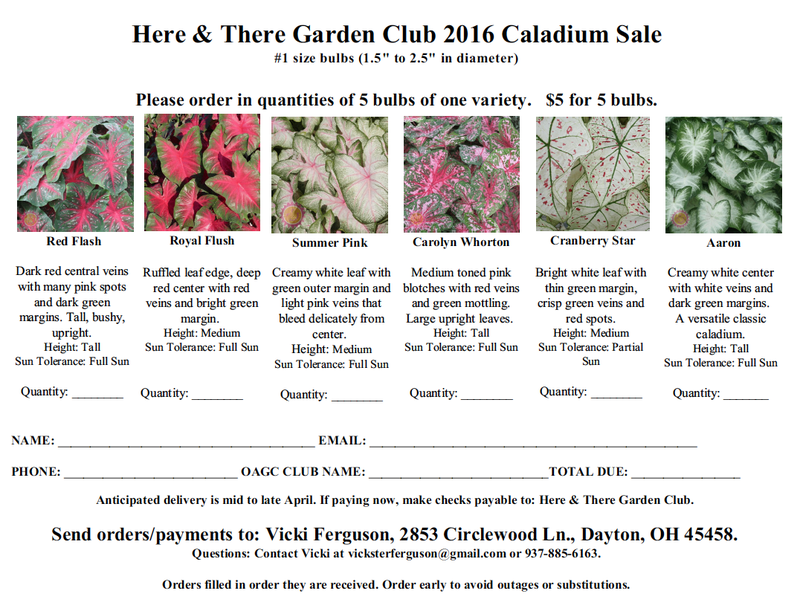 Here and There Garden Club recently celebrated their 80th year and are offering Caladium bulbs for sale. Long prized for their colorful summer displays, caladiums make a visual splash in containers and garden beds alike. Bulbs are #1 size bulbs and are offered $1/each. 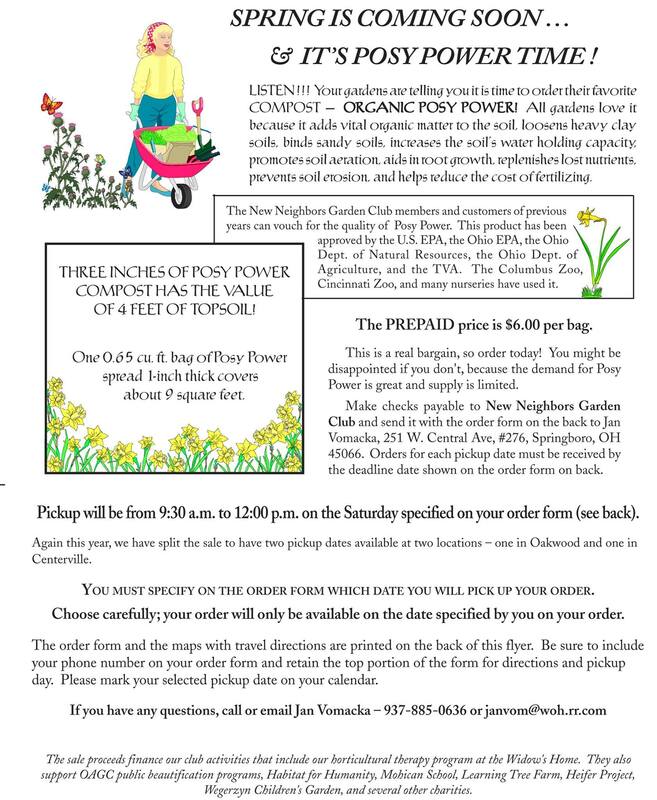 New Neighbors Garden Club is offering the wonderful organic soil amendment Posy Power for sale. The .65 cubic foot bag, when spread 1-inch thick, covers about 9 square feet. It loosens heavy soils, binds sandy soils, increases soil’s water holding capacity and promotes soil aeration. Who wouldn’t like that? Sale information is below. 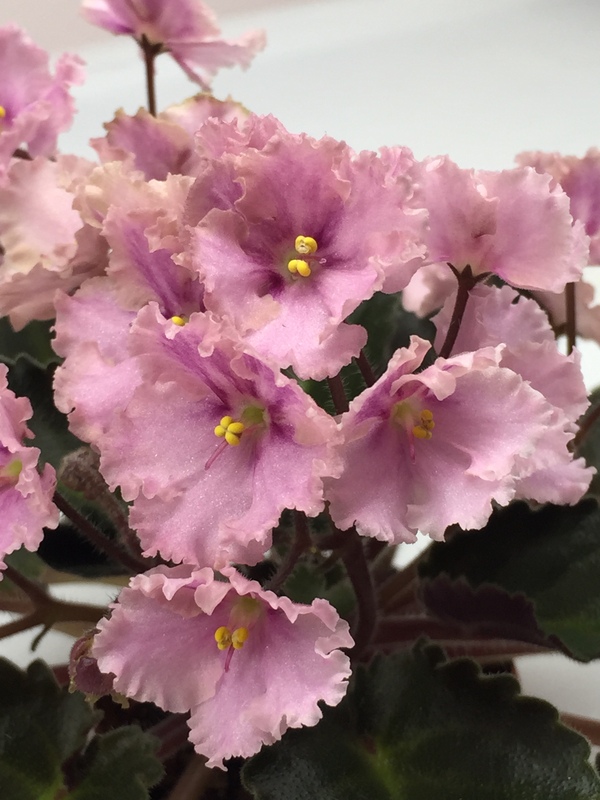 I grow African Violets under lights year-round on two four foot wide stands each with 3 shelves. The room they normally ‘live’ in gets too cold during the winter so I moved them into the family room for the season. Even so, my hygrometer (measures temperature and humidity) still shows that the room can dip to 64 degrees at night at times. That’s really a bit colder than they like but they are still hanging in there. And I love to see their cute faces. Enjoy! Over my lifetime, I’ve killed hundreds, no, thousands of plants. Houseplants in particular. The plants I grow outside are lucky. 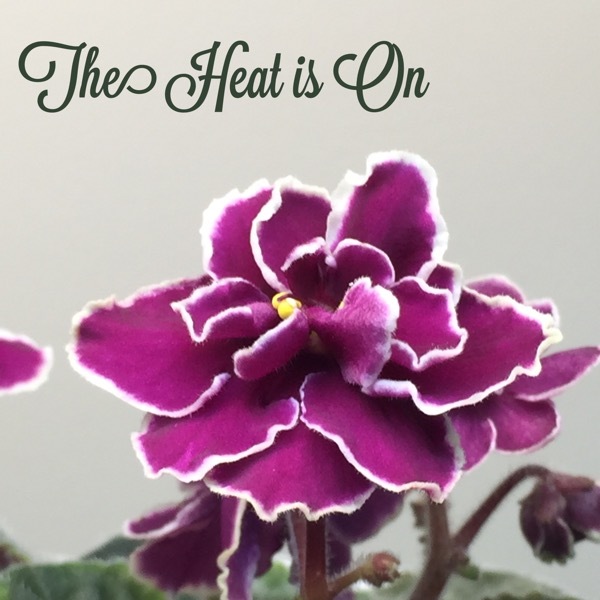 Most are better off letting Mother Nature nurture them through the growing season. 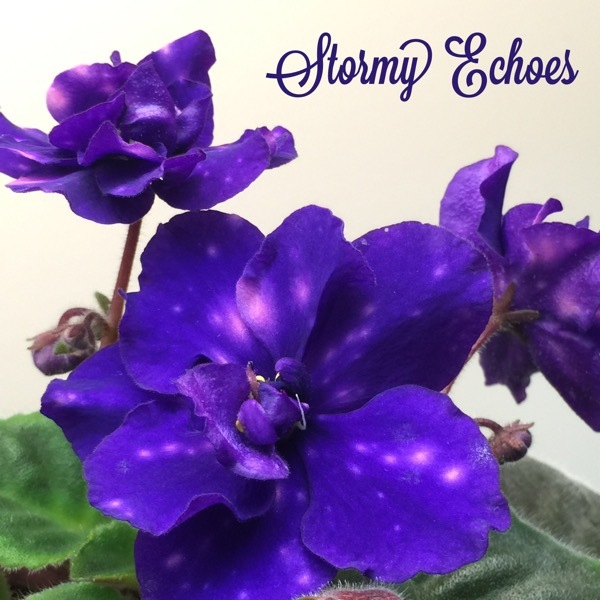 My dear African violets aren’t so lucky. Their lives depend on me, of all people, to keep them alive. I’m grateful when they reward me with their beauty. 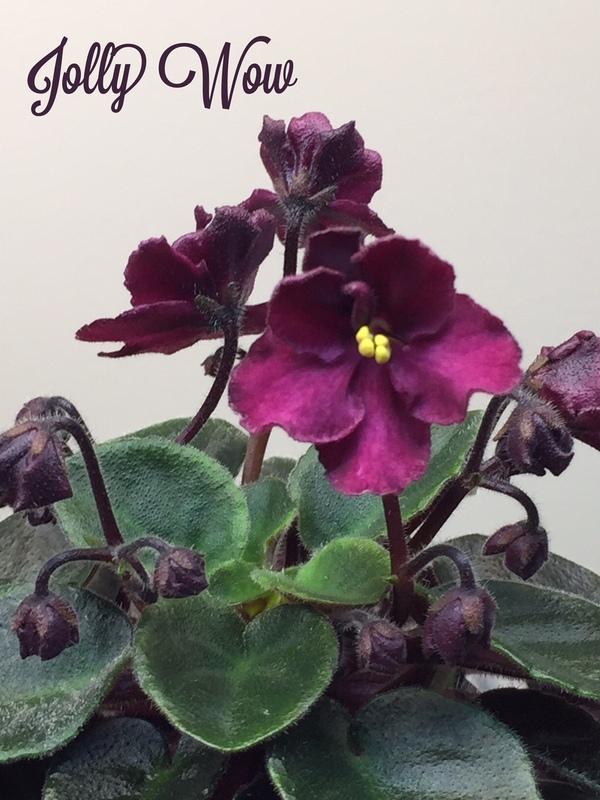 Looking back, I remember growing African violets in my college apartment and also being the subject of a written assignment. 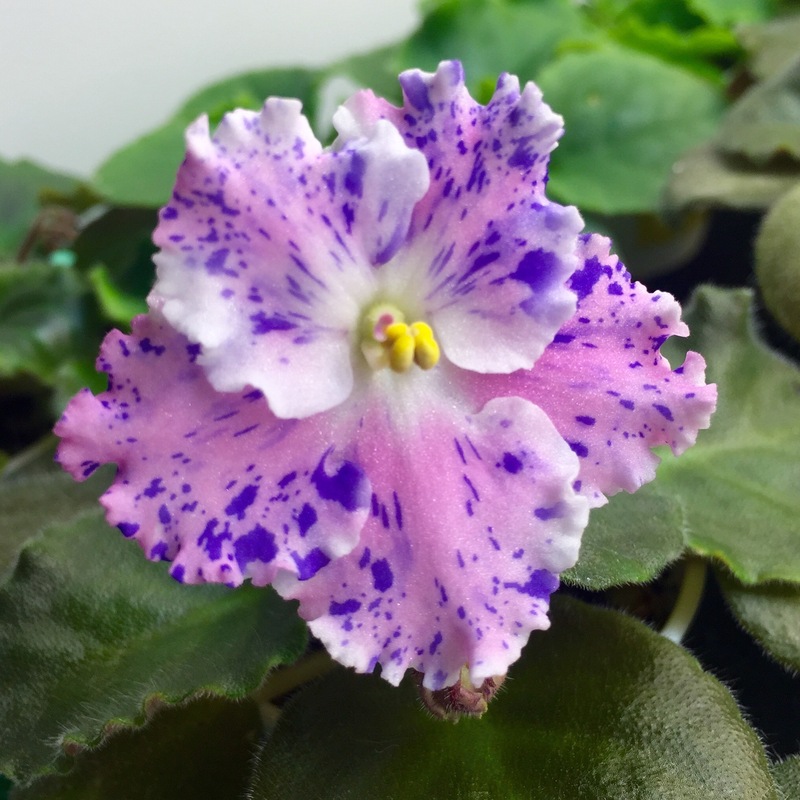 Well, it has been a long spell between those 1970s college days at The Ohio State University’s Agricultural Technical Institute but my African violet interest has come back to life. Don’t ask me how many I have. 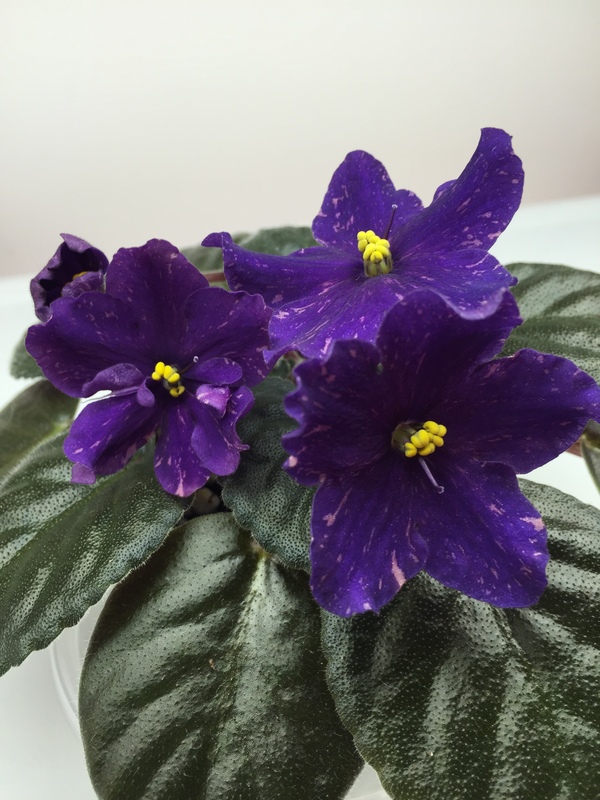 I pick up a couple more every month at our African violet club meeting. And of course, my motherly instincts kick in when I have to rip out suckers. I CAN’T throw them away; I HAVE to pot them – which only exacerbates the overpopulation problem! Here are a few of the cuties on the shelves (6 four-foot light fixtures) at the moment. 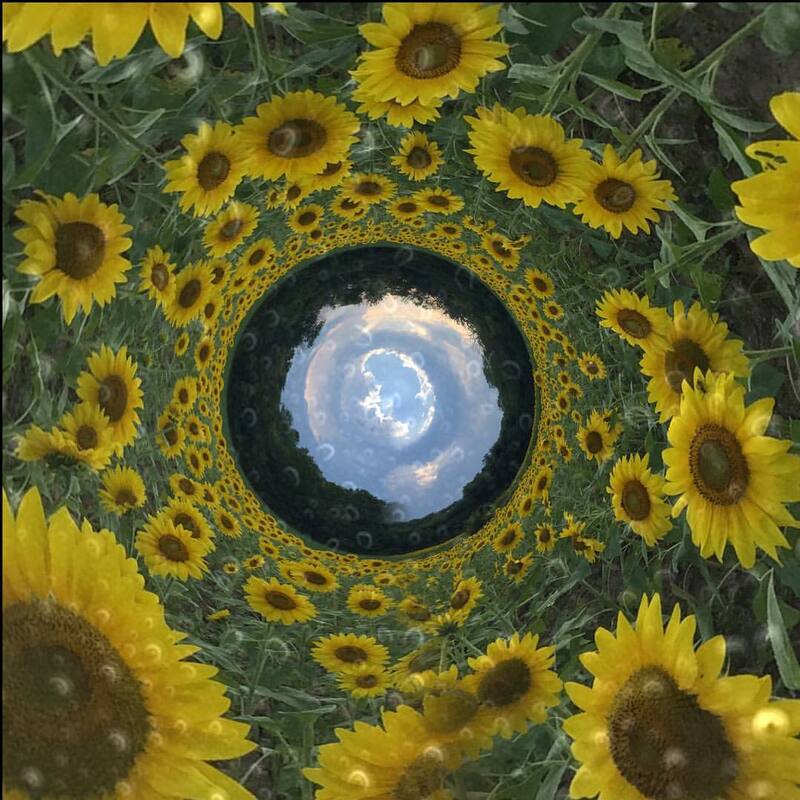 A local market plants a field of sunflowers annually. They are at their prime and are a big hit with photographers and families near and far. Enjoy!